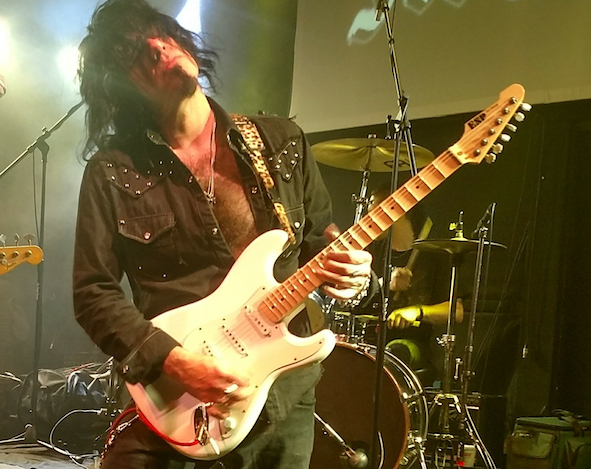 Joe Stump returns with a new blistering solo album just as he announces joining the legendary Alcatrazz with ex-Rainbow/MSG singer Graham Bonnet replacing Yngwie Malmsteen and Steve Vai! The American shred guitar legend returns with his newest effort Symphonic Onslaught which can only be described as one fierce slab of guitar driven metal , the anticipated follow up to his critically acclaimed 2015 release The Dark Lord Rises. Once again this is another release that’ll appeal to both guitar enthusiasts as well as fans of guitar driven metal. Whether it’s the Hendrix meets Blackmore old school hard rock of Stratocastle or the black metal meets thrash meets power metal viciously heavy Facemelting Devestation or the neo-classically fueled Hit The Deck , Stump continues to proudly wear his influences on his sleeve . 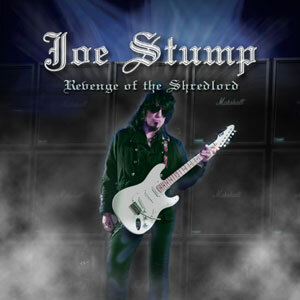 To those of you in guitar and metal circles Joe Stump should need no introduction. The Shredlord has been raining down full throttle neo-classical/speed metal since Guitar Dominance was released over 25 years ago. He was named by Guitar One as one of the top 10 fastest shredders of all time. By Guitar World as one of the 50 fastest players of all time and by Guitarist magazine as one of the top 20 shredders of all time . He has appeared in countless guitar and metal based publications, fanzines and webzines worldwide . He has toured the world as both a solo artist and with metal bands Joe Stump’s Tower Of Babel, Joe Stump’s Reign of Terror and HolyHell. 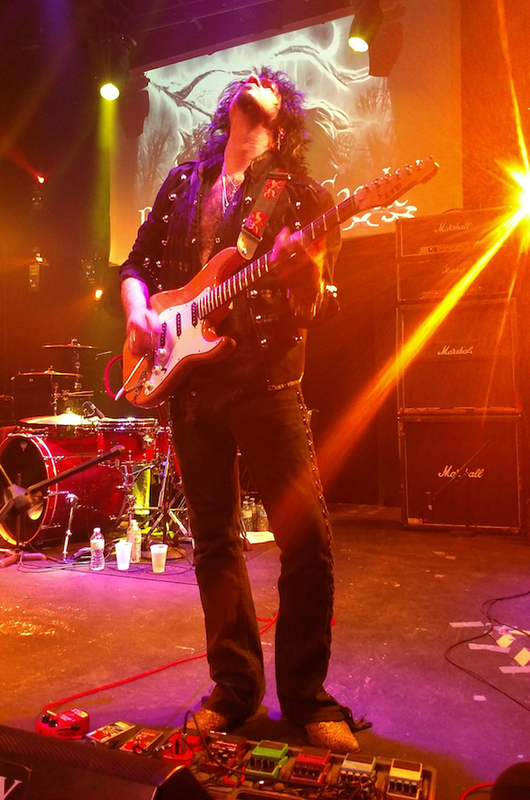 Also Joe has just been announced as the new guitarist in the relaunching of Alcatrazz alongside legendary vocalist Graham Bonnet and original keyboard player Jimmy Waldo. A new Alcatrazz studio record as well as a world tour will follow. Joe’s also an Associate Professor at the esteemed Berklee College Of Music where he’s been the metal/shred guitar specialist for the last 25 years . 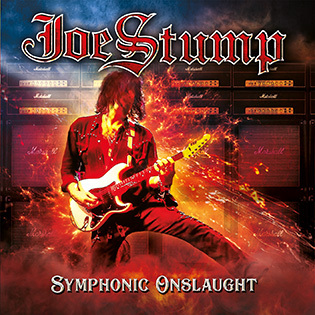 Symphonic Onslaught marks Joe’s 11th solo release and once again the Shredlord continues to raise his game in every aspect. How would you describe the new album musically/lyrically? 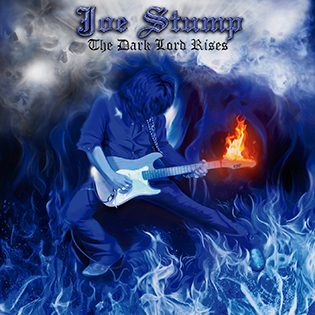 Musically it's a logical follow up to my last record The Dark Lord Rises and contains all the aspects you'd expect to hear outa one of my records-- Killer riffs, strong melodies, dark classically influenced themes and sections, as well as the blending of various schools of hard rock and metal . There's neo-classical tracks, some black/extreme/thrash/power metal type things as well as Blackmore/Hendrix inspired old school hard rock things . And of course tons of insane stupidly fast highly technical shredding. I never have a specific goal while making a record , I'm always playing, practicing and composing things whether it's instrumental or vocal material and after I've got enough material collected it's gets time to make another record. I'm inspired by all kinds of forms of hard rock and metal in addition to classical music . I mean I love all things Ritchie Blackmore -Rainbow/Purple as well as the early Yngwie Alcatrazz and Rising force records along with the Uli Roth era Scorpions . But I also love listening to Bach, Vivaldi and Tchaikovsky as well as Accept or Denner/Shermann and Rata Blanca so it all seeps in there and influences me. How have band member changes affected the bands sound and dynamics i.e. what have the new members brought to the band? No I've had the same solo band for awhile now so my guys are great at interpreting my stuff and I've always got everything completely composed and arranged so making the record is quite efficient. Please provide the history of the album i.e. when writing began, recording etc. I guess I started writing this one after the last one came out and since my schedule is crazy busy between teaching , playing regional shows and international touring I'd cut tracks and record whenever I had windows of time available between everything else. Last year I was working pretty much non-stop .